The voluntary consent of a subject participating in research is fundamental to the principle of autonomy. This consent must be free from any coercion, intimidation, falsehood, physical, psychological, or economic pressure. It is in the interest of the subject, the investigator and the sponsor to ensure that informed consent processes conform to the guidelines and regulations, both in the letter and spirit. However, ignorance on the part of investigating team causes deviation from these norms. Videography of the entire process has been suggested as a means to ensure the compliance, and draft rules for the same published. The present article examines how best videography can be introduced in the informed consent procedure without violating other protective mechanisms. The Drugs Technical Advisory Board has recommended inclusion of audio-video (AV) recording of the informed consent process while conducting clinical trials in India. It is included as draft rule in the gazette of India notification dated 7 th June 2013. This will soon become a law. There are many anticipated advantages of AV recording like reliability, transparency, and improvement in quality of conduct of informed consent process. However, at the same time the industry will need to address challenges in infrastructure, maintaining confidentiality, cost implication, and so on. AV recording will help reassure the government and community about standards maintained by the industry/institute while conducting informed consent process, thereby increasing society's faith in clinical research. Continuing review is an important responsibility of Institutional Review Boards (IRBs). Though being mentioned by many of the national and international guidelines, it is carried out routinely only in UK. The reasons may be inadequate training, overworked IRBs, less enthusiasm among the IRB members, cost bearing, etc. So, the oversight mechanism at the local site, which is the responsibility of IRB is not fulfilled. Are there any solutions to overcome these difficulties? 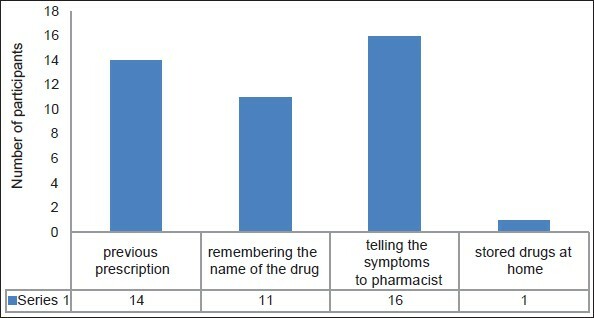 The IRBs should have a Standard operating procedure for continuing review, members can be regularly trained, institutions can create their own internal Data and Safety Monitoring Boards who will only monitor studies where monitoring systems are non-existing and there can be budget allocated at the start of the study by the sponsor or the institution. In this way, we can try to safeguard the rights and well-being of the study participants. Objective: To compare the therapeutic cure rate and adverse reactions in the regimens of the Revised National Tuberculosis Control Program (RNTCP) with directly observed treatment, short-course (DOTS) and without DOTS. Materials and Methods: Fifty patients in the DOTS regimen and 50 patients in the non-DOTS regimen were enrolled in the study. All the participants were asked to come regularly for 3 consecutive days for sputum collection, and the sputum samples were examined for acid-fast bacilli. If tuberculosis (TB) was confirmed, the disease status was confirmed through a chest X-ray (PA view). The participants were monitored for adverse events arising from the use of anti-TB drugs for the next 6 months. Results: The TB cure rates for RNTCP with DOTS and RNTCP with non-DOTS were 80% and 66%, respectively. The DOTS therapy had a better cure rate for radiologically positive, sputum-positive cases compared with the non-DOTS regimen group. The non-DOTS treatment regimen had significantly increased numbers of adverse events in the hepatic and hematinic systems. Conclusion: The DOTS regimen has higher cure rates and a lower incidence of adverse reactions compared with the non-DOTS regimen. Background: A signed informed consent (IC) form proves voluntary participation in a study. Yet the development of accessible and understandable IC forms comes with its own set of challenges, particularly when conducting international research. 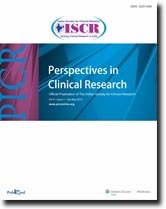 Purpose: This study explores understanding by participants in an Eldoret-based clinical trial of IC and its implications as well as whether they will volunteer for future trials. Materials and Methods: In mid-2010, in-depth interviews with trial participants were recorded in audio format. Content analysis provides a description of trial participants' experiences and thoughts. Results: All participants were informed about the trial and its voluntariness and they consented. However, some were too ill to scrutinize trial details. Thus, they relied on their health care provider's advice, or on their guardians. In general, participants understood their role and were happy to volunteer or invite others to participate in future trials. They also emphasised the importance of an open on-going dialogue in order for participants to be able to ask questions. Conclusion: Clinical trial participants in Eldoret seem to understand their role, but rely on providers and guardians when consenting. They are very willing to participate in future trials. Evaluation of research participants' opinions may improve trial protocols, increase comprehension and guard against manipulation of study participants. In addition, this research focus should guide development of consent forms and process that facilitates a truly IC. Objective: Paracetamol and ibuprofen are widely used for fever in children as monotherapy and as combined therapy. None of the treatments is proven clearly superior to others. Hence, the study was planned to compare the efficacy of paracetamol, ibuprofen and paracetamol-ibuprofen combination for treatment of febrile children. 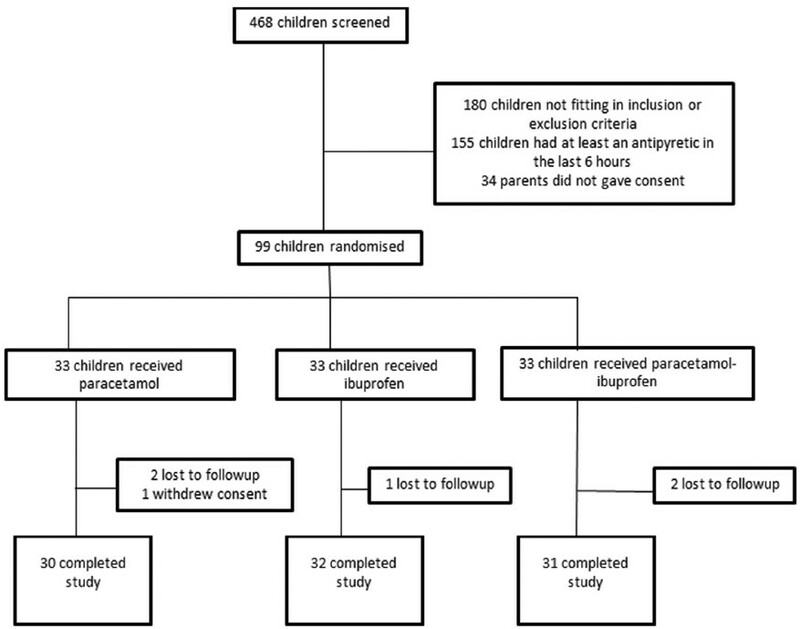 Materials and Methods: This was an investigator blind, randomized, comparative, parallel clinical trial conducted in 99 febrile children, 6 months to 12 years of age, allocated to three groups. First group received paracetamol 15 mg/kg, second group received ibuprofen 10 mg/kg and third group received both paracetamol and ibuprofen, all as a single dose by the oral route. Patients were followed-up at intervals of 1, 2, 3 and 4 h post dose by tympanic thermometry. Results: Mean tympanic temperature after 4 h of drug administration was significantly lower in the combination group compared with paracetamol group (P < 0.05); however, the difference was not clinically significant (<1΀C). The rate of fall of temperature was highest in the combination group. Number of afebrile children any time post dose until 4 h was highest in the combination group. Difference between combination and paracetamol was significant for the 1 st h (P = 0.04). Highest fall of temperature was noted in the 1 st h of drug administration in all the groups. No serious adverse events were observed in any of the groups. Conclusion: Paracetamol and ibuprofen combination caused quicker temperature reduction than either paracetamol or ibuprofen alone. If quicker reduction of body temperature is the desired goal of therapy, the use of combination of paracetamol + ibuprofen may be advocated. The Drug Controller General of India has recently come up with very stringent laws to tighten the regulatory framework around clinical trials. One-way of improving the credibility of India and its researchers in the eyes of the regulators, sponsors and the general public is through professional site management team or setting up clinical research unit (CRU). The CRU acts as a bridge between the sponsor and the investigator. The CRU model has been better explained with the help of a good example of a clinical research institute. Since, a successful clinical trial needs high quality data, timeliness and clear communication between all parties, a professional CRU with a team of dedicated and trained professionals and infrastructure with written procedures and policies may be a solution to the pain and agony of poor site performance and investigator insufficiency and pressure. Third party lab vendor provides support for laboratory, biological samples analytics data, collected during the clinical trial. 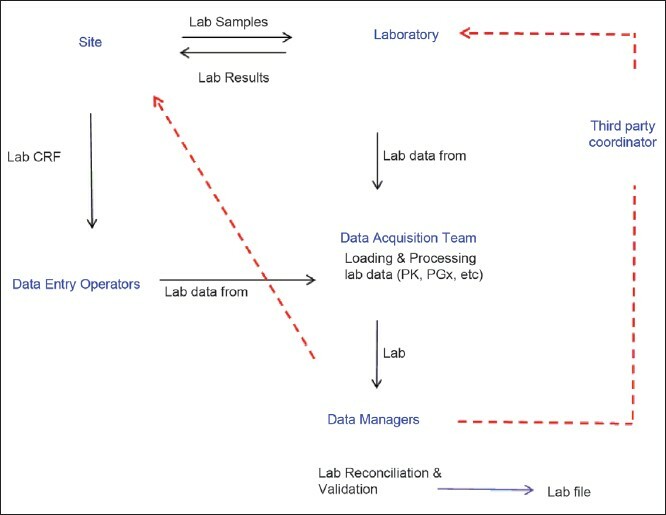 Third party laboratory data is considered to be very significant for the clinical trial data management process. Although outsourcing these services is considered to be advantageous for clinical trials, there are some risks involved. Hence, pharmaceutical companies proactively select, track and evaluate third party vendors on a regular basis before, during and after the completion of the contract. The data manager has a significant role to play in effective management of third party vendor data.